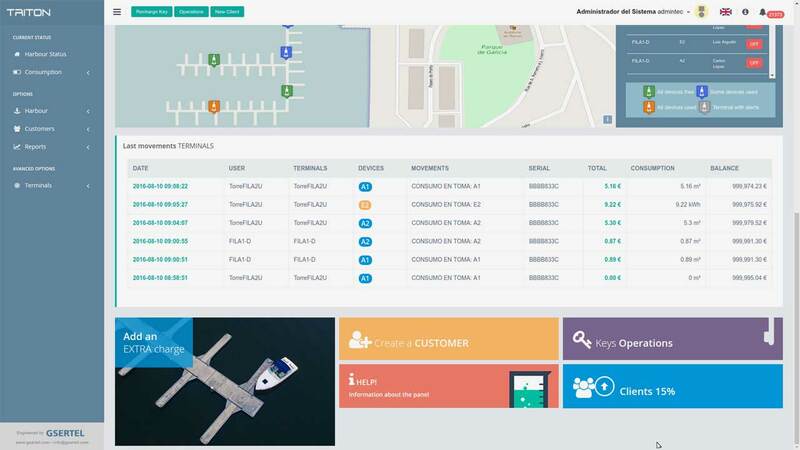 TRITON SGSP is the most powerful and intuitive management application of supplies in harbours. 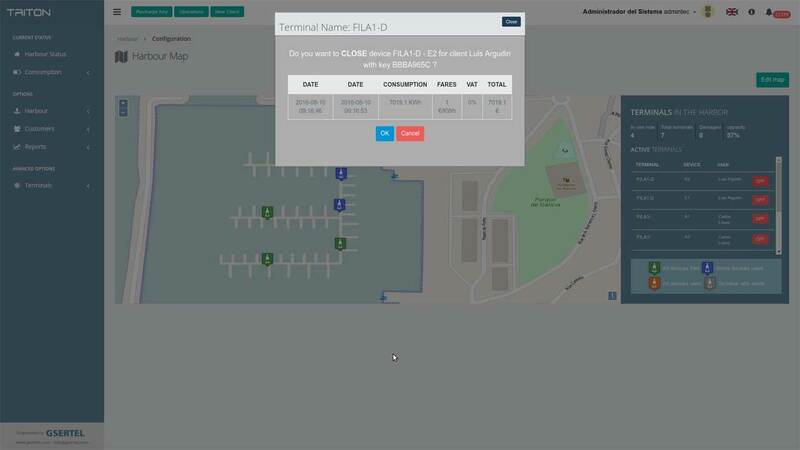 Built on web technology it provides a multi-platform access that allows the harbour manager to control and manage the facilities from anywhere and across all types of devices: Mobile, Tablet, PC. The system can work in PREPAID, POSTPAID mode or both simultaneously, thus facilitating the operation of the service regardless of the type of harbour user. 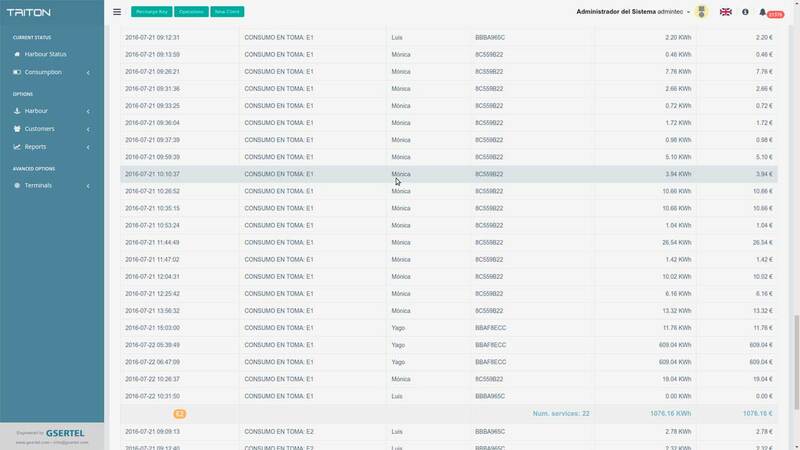 It takes only a couple of clicks to make receipts and invoices for supplies, and all movements are recorded in the system and are easily exportable to other formats. 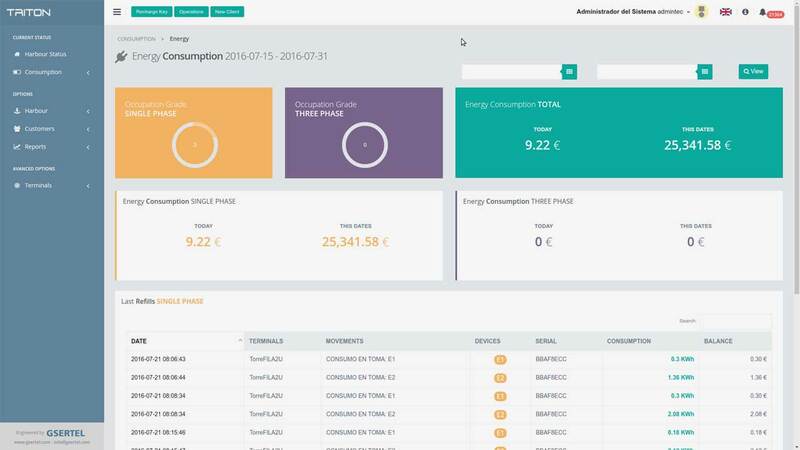 Managers have real time and past management information, which allows you to perform detailed analysis of consumptions in a graphical and very intuitive way. TRITON SGSP includes an RFID reader that allows to register and recharge user cards in a very easy way. 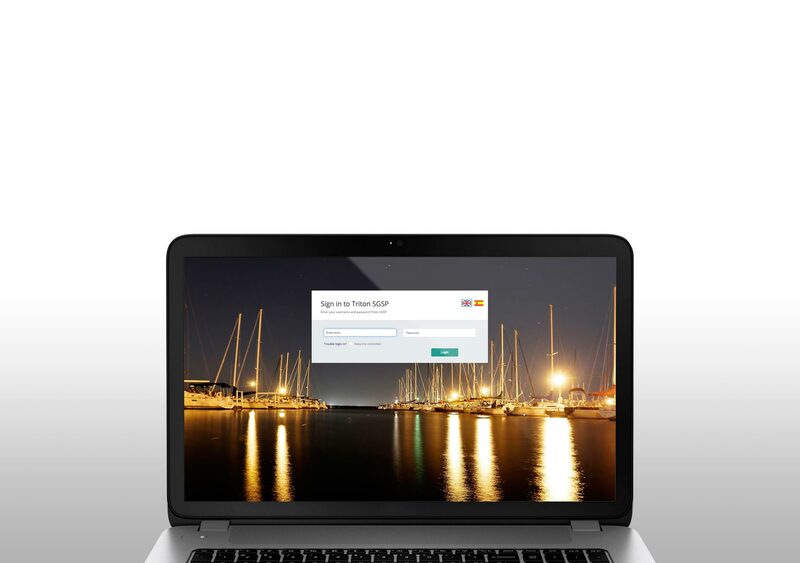 With TRITON SGSP the harbour or yachting club will have a tool that will save time and money, helping in the efficient management of supplies. 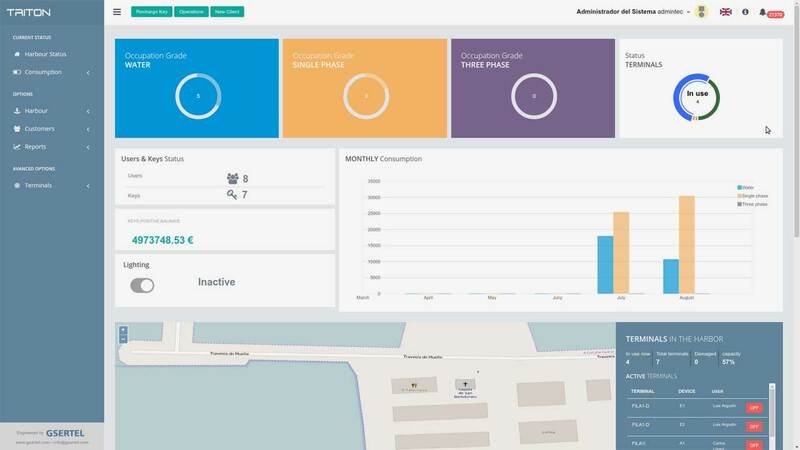 The open interface for integration and information sharing with other management applications existing at the harbour as well as the potential for deployment in "stand-alone" mode or on virtual systems with or without redundancy, make TRITON SGSP the ideal solution for any environment, regardless of size or existing systems. User login access and access profiles. Real time monitoring and control. Harbour and map information editing. Rates and minimum amount editing. Reading interface for prepaid cards. 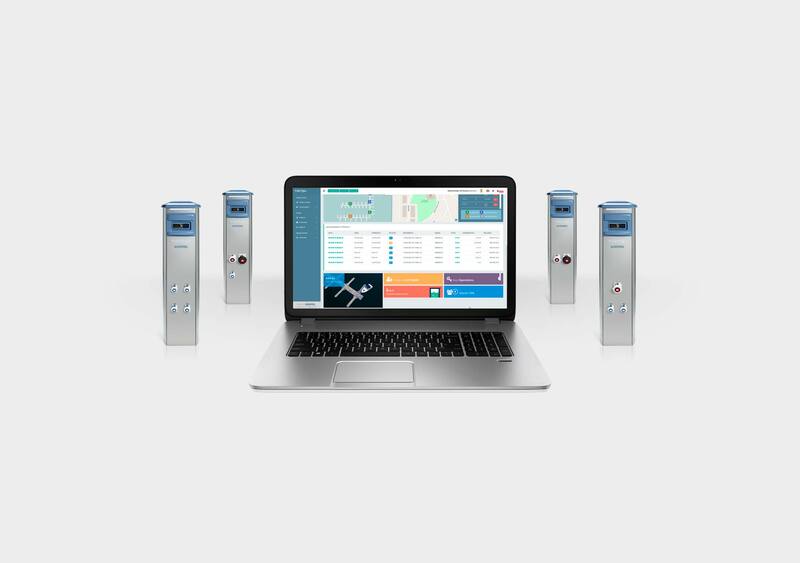 Management of water and energy meters. Reports of customers with negative balance. Movements made by customer with invoice generation. Data import and export for integration with existing platforms. Harbour map with location and interactive operation of pedestals. Detail of the water consumption occupancy rate, accumulated day and monthly consumption and operations in a selected period. Indicators of harbour management supplies. Detail of the electricity consumption occupancy rate, accumulated day and monthly consumption and operations in a selected period. Customer reports by multiple parameters: balances, transactions, etc. Alarm generation via email or SMS. Global access to the server from anywhere, with any browser or mobile device. Interface integration with third-party platforms. Direct access to the most common operations. Registration file of a new client and user card association. Summary of the operating status of all the harbour pedestals. Summarized report customizable by the user. 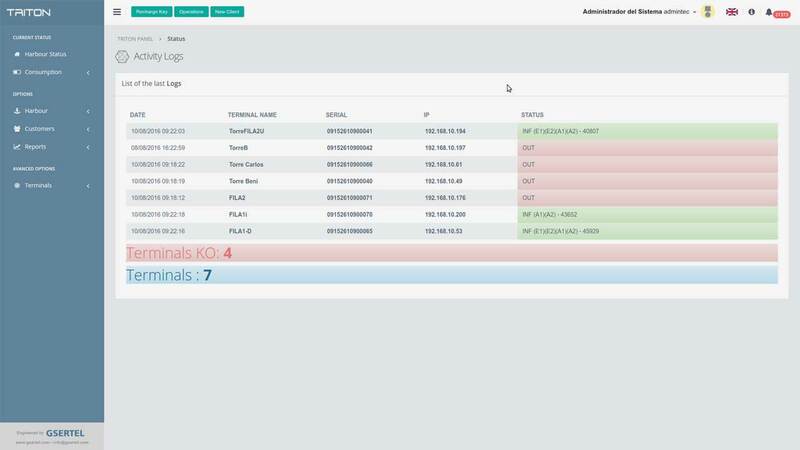 Global management from a single point of every consumption, receipts and supply invoices. Invoice and control by the exact consumption of each user, regardless of socket or connecting pedestal. Easy for end users: prepaid and post-paid operation. Security: no balance or operation is stored in the user identification card. 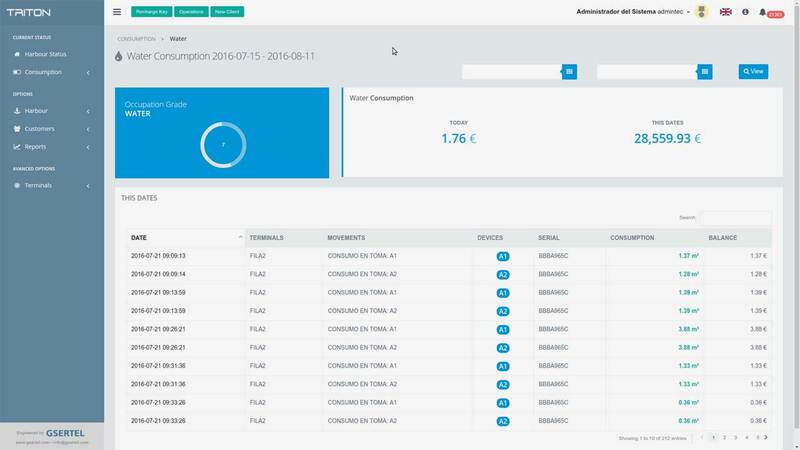 Reduction of operating costs: reading consumption and supply activation in real time from the management application. Compare the pedestals consumptions with the supplier invoices. 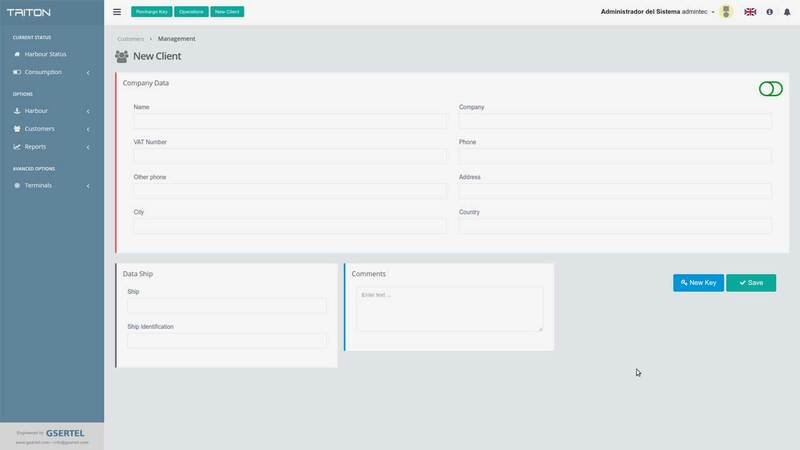 If you already have the login information to our TRITON SGSP Live Demo, click the link below and login with your user and password.